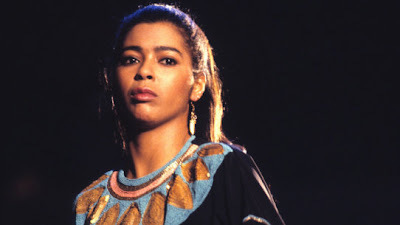 Happy 60th Birthday to Irene Cara! It seems like only yesterday that Irene Cara was CoCo Hernandez in the 1980 movie Fame. She sang the movie’s two best known songs: the title song Fame which was a huge hit and the gorgeous ballad Out Here on My Own. Three years later she scored the biggest hit of her career with Flashdance … What a Feeling which she also co-wrote. She won the Academy Award for best original song, the Grammy for best pop vocal performance, Golden Globe Award and two American Music Awards. 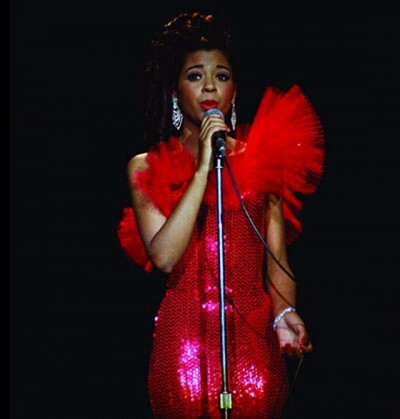 What’s not so well known is that pre-Fame, Irene played the title role in the original Sparkle which was decades later remade with Whitney Houston in the mom role and released after her death. She earned the Image Award for Best Actress when she co-starred with Diahann Carroll and Rosalind Cash in the NBC Movie of the Week, Maya Angelou’s Sister, Sister. Cara portrayed Myrlie Evers-Williams in the PBS TV movie about civil rights leader Medgar Evers, For Us the Living: The Medgar Evers Story; and earned an NAACP Image Award Best Actress nomination. Early in her career, she had roles in Roots: The Next Generations and Guyana Tragedy: The Story of Jim Jones. Irene, who turns 60 today, had taken a long hiatus from singing an acting but resurfaced with the release the album Irene Cara presents: Hot Caramel.